We’ve been using this great inline styler for email’s created by @davecranwell (originally hosted at http://inlinestyler.torchbox.com). Unfortunately it’s been offline for about a month, so today I setup hosting for it. It can now be found at: https://inlinestyler.visigo.com/. What it does is take HTML + CSS and moves the css styles inline in the html. This is used for formatting html emails, as css styles aren’t supported by email clients. Forked github repo can be found here: https://github.com/Visigo/inline-styler. 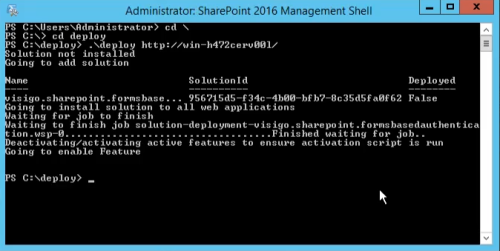 I’ve updated the SharePoint Solution Installer to be compatible with SharePoint 2016. 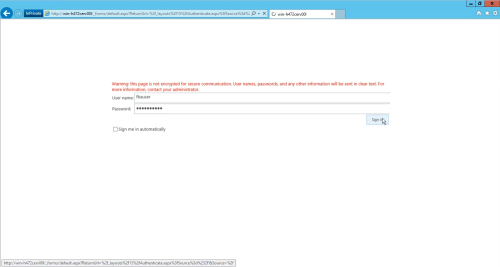 Configuring forms based authentication (FBA) in SharePoint 2016 and SharePoint 2019 is exactly the same process as configuring it for SharePoint 2013. 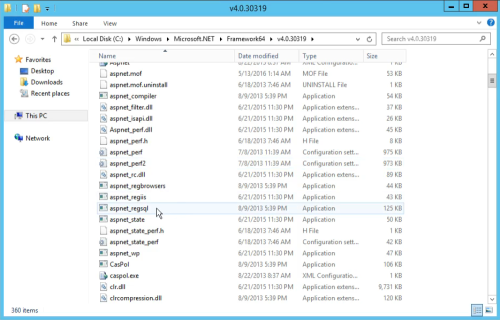 I’ve recreated the SharePoint 2013 FBA tutorial specifically for SharePoint 2016 and SharePoint 2019, using screenshots from SharePoint 2016 and Windows Server 2012 R2. 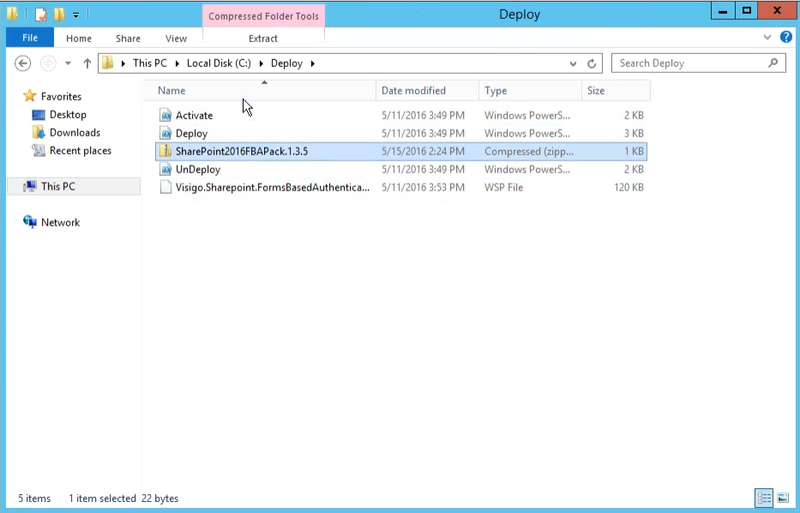 I have changed the tutorial to use the SharePoint FBA Pack to create the FBA users, but otherwise it remains the same and can be used interchangeably between SharePoint 2013 and SharePoint 2016/2019. 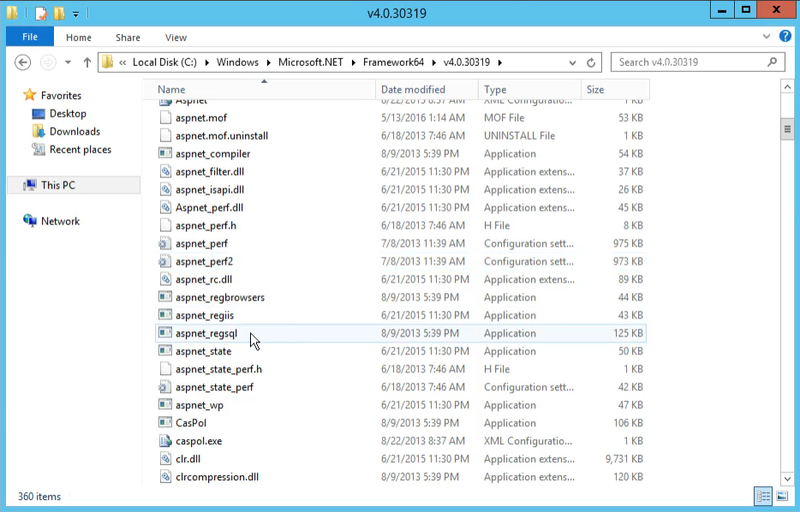 I’ll go through all of the steps required to setup FBA for SharePoint 2016 and 2019, from start to finish. 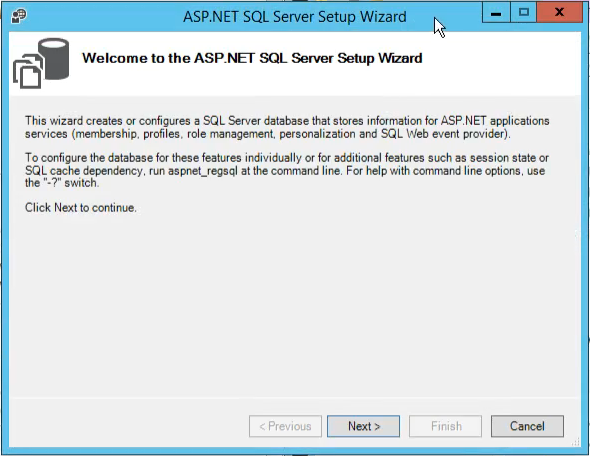 I’ve broken down the steps into 4 sections, so if you already have an existing membership database setup from a previous version of SharePoint, feel free to skip forward to Part 2. 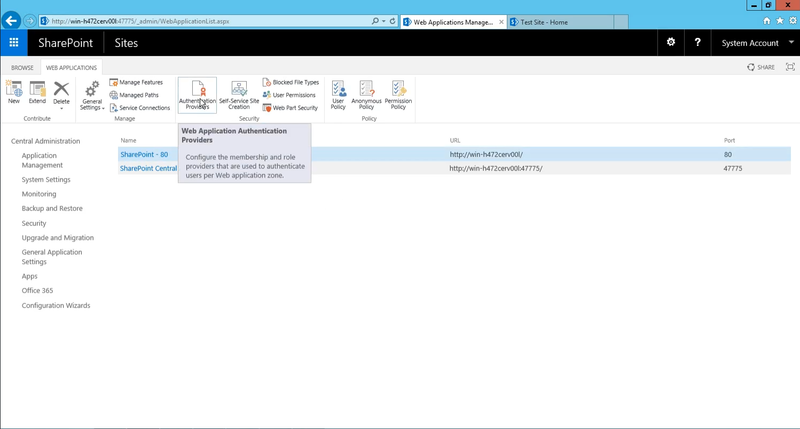 You can also watch a video of the whole process on YouTube: Configuring Forms Based Authentication in SharePoint 2016 and SharePoint 2019. 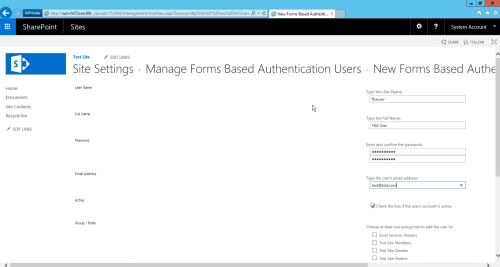 At this point SharePoint has been completely been setup for forms based authentication. Unfortunately people still can’t login with FBA, as no users have been added to the membership database. 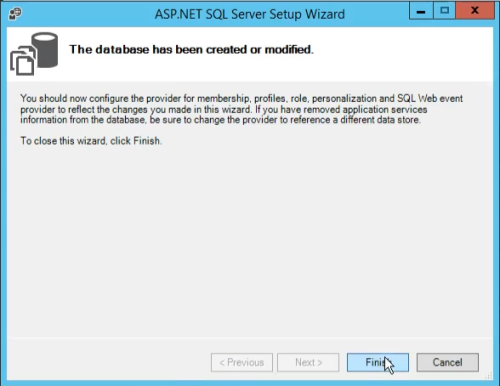 There are a few ways to add users to the membership database. 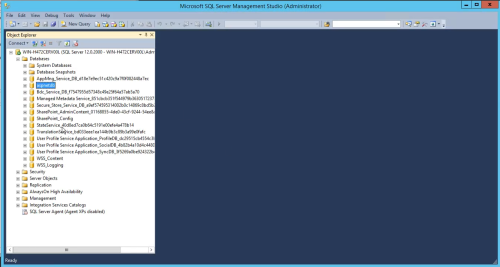 You can manage the users in the membership database using IIS. I prefer to manage the users in SharePoint using the SharePoint FBA Pack. I’m going to show you how to install the FBA Pack and use it to add users to your membership database. 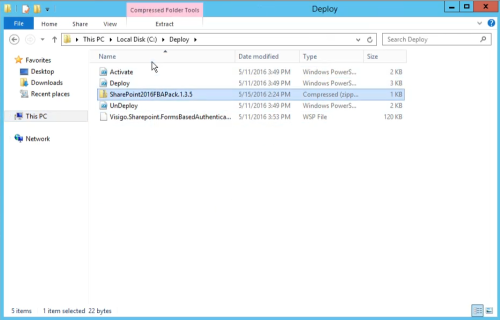 You can find downloads and documentation for the SharePoint 2016 FBA Pack at https://www.visigo.com/products/sharepoint-fba-pack. 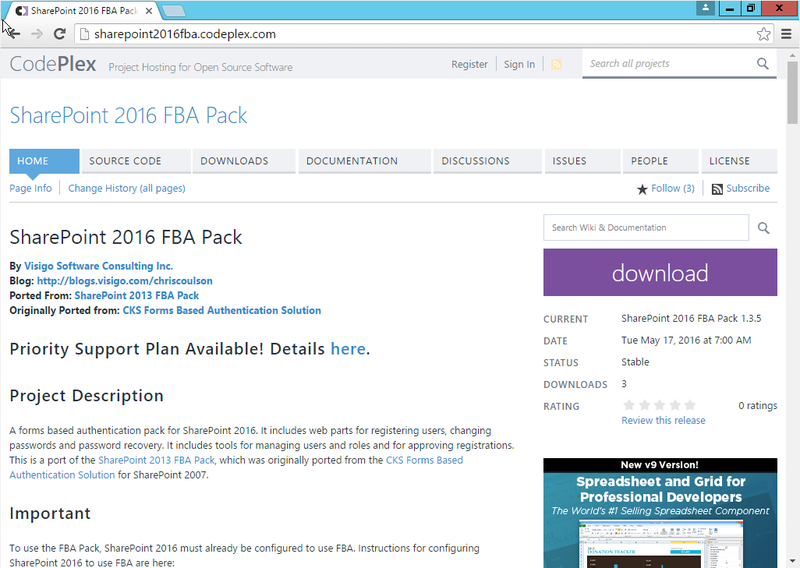 Download the FBA Pack and unzip it to a folder on your hard drive. 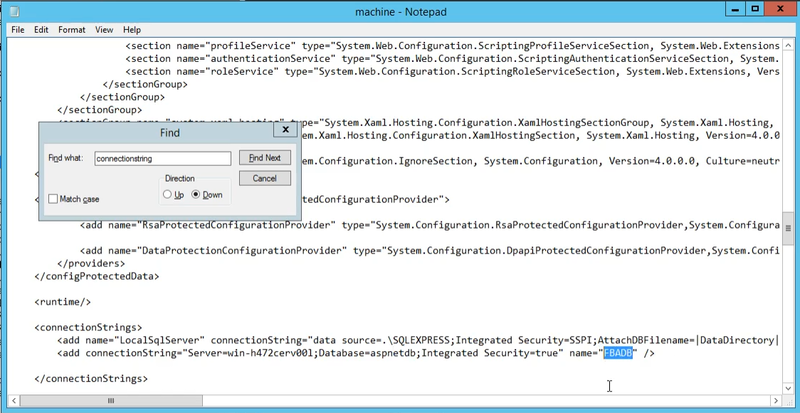 For this example I’ve unzipped to c:\deploy. Open either PowerShell (In Administrator mode) or SharePoint Management Shell. 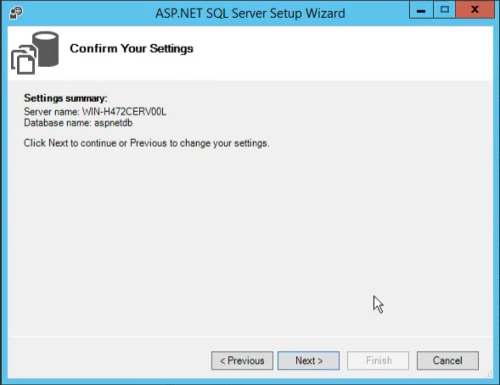 Run “.\deploy http:\\win-h472cerv00l” (without quotes and be sure to substitute the url to your site collection where you would like the FBA Pack activated). 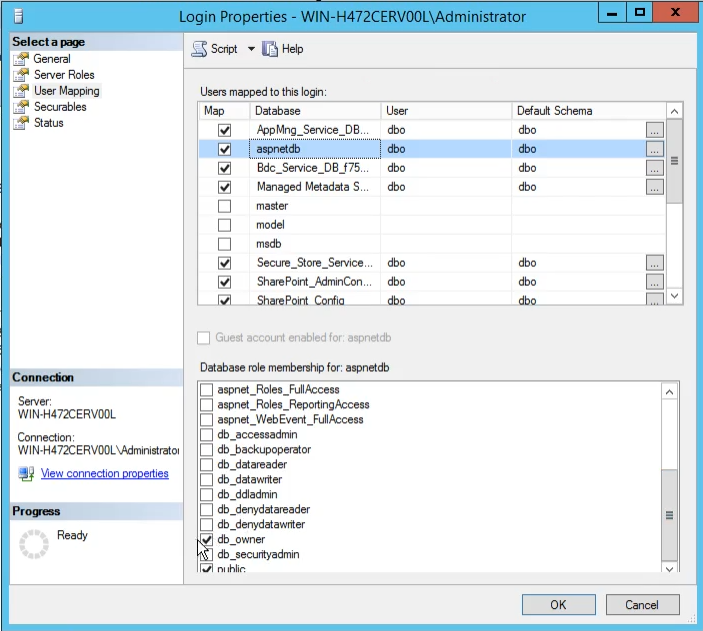 Note you can also run “.\deploy” without any parameters – in which case you will have to manually activate the “Forms Based Authentication Management” feature in each site collection you’d like to use it. The script will deploy the FBA Pack to the SharePoint farm and activate it on your site collection. Note that if you get an error and scripts won’t run because they are not signed, you need to run the following command to allow the script to run: “Set-ExecutionPolicy Unrestricted”. Once you’ve done that, rerun the deploy script. Navigate to your site collection and login as a site collection administrator. 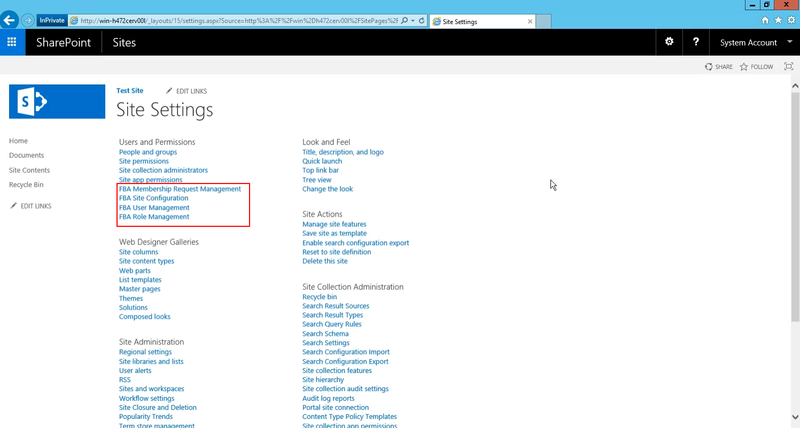 Navigate to the Site Settings page. You will notice you now have some new options for managing FBA Users. Fill out the form to create your first user in the FBA database. Be sure to assign them to a SharePoint group so that they will have permissions to login to SharePoint. 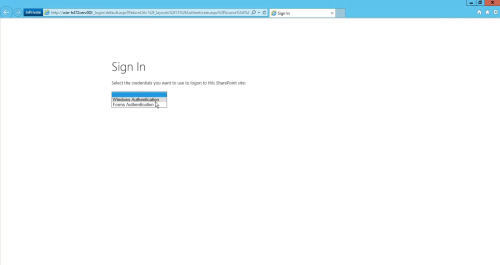 Now you can try to login as the user you just created. Logout of SharePoint. When logging back into SharePoint, choose to login using Forms Based Authentication. Login using the username and password you created on the FBA User Management screen. That’s it! You now have Forms Based Authentication setup on SharePoint 2016, and the FBA Pack installed to manage your FBA users. 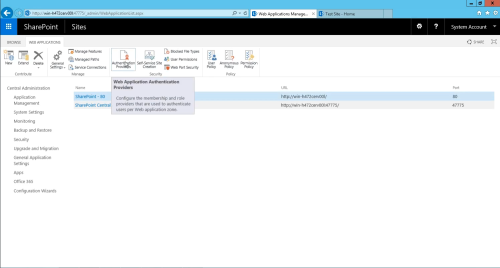 Be sure to check out the rest of the features of the SharePoint FBA Pack – on top of allowing you to manage users and roles, it also includes web parts for user registration, changing your password and recovering a forgotten password. 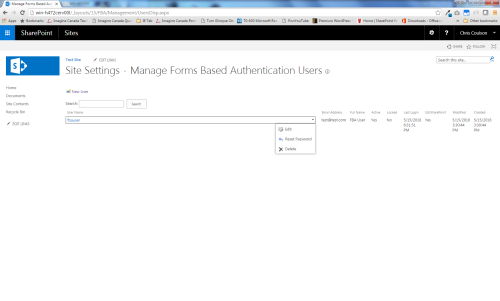 Now that the membership and role provider have been configured, we can configure SharePoint to use them. For this example i’m going to edit an existing web application to use forms based authentication. 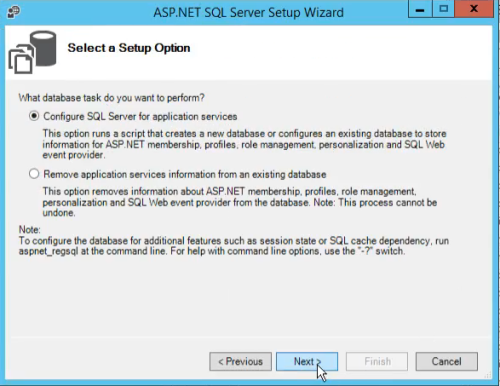 The same settings can be applied when creating a new web application. 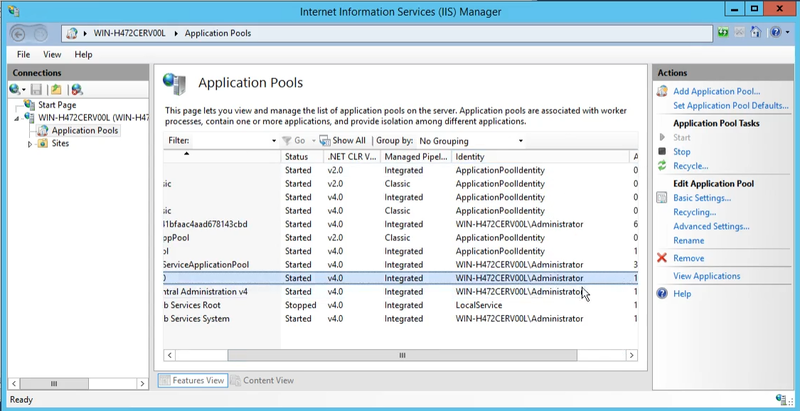 Open SharePoint Central Administration -> Application Management -> Manage Web Applications. 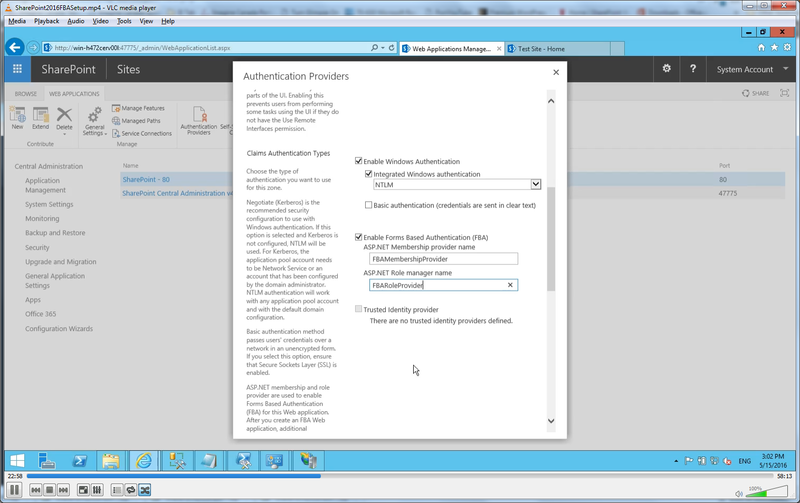 Select the web application you’d like to edit and click “Authentication providers”. Select the zone of the authentication provider you’d like to edit. In this case I only have a single zone setup: “Default”. If you like, you can add multiple zones by extending the web application. This will allow you to select different forms of authentication to the same web application depending on the url used to access it. For example if users hit the web application using the local server name, then it can authenticate them with windows authentication. 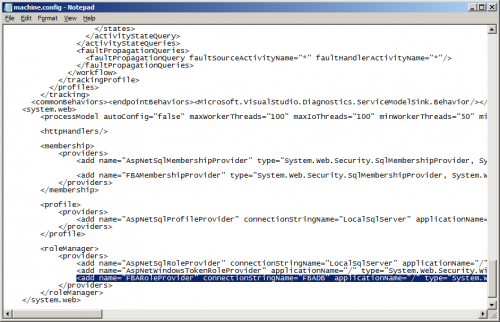 If they access it via an external domain name, you could have it authenticate them with FBA. 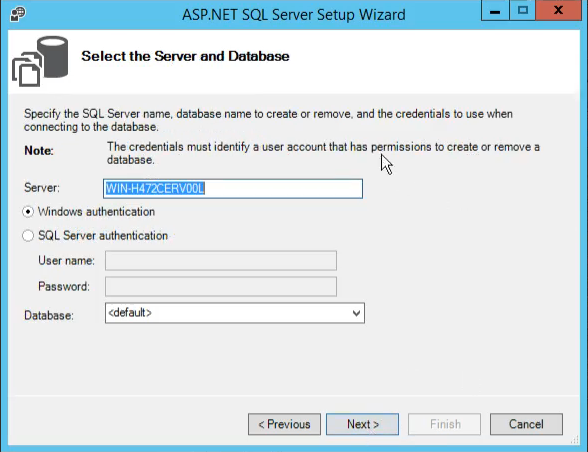 Check “Enable Forms Based Authentication (FBA)”. 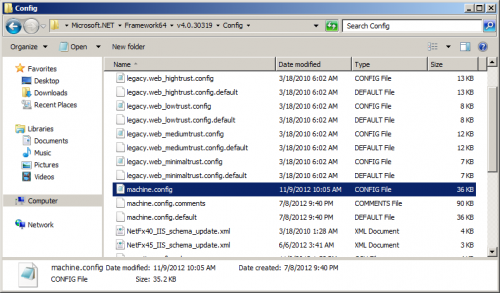 Enter the ASP.Net Membership Provider Name and ASP.NET Role Provider Name that you configured in the web.config. 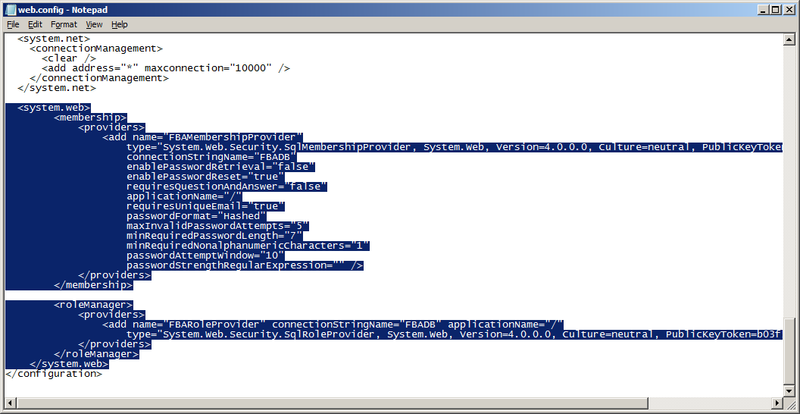 For this example we used “FBAMembershipProvider” and “FBARoleProvider” (Without the quotation marks). In this case we left “Enable Windows Authentication” checked. 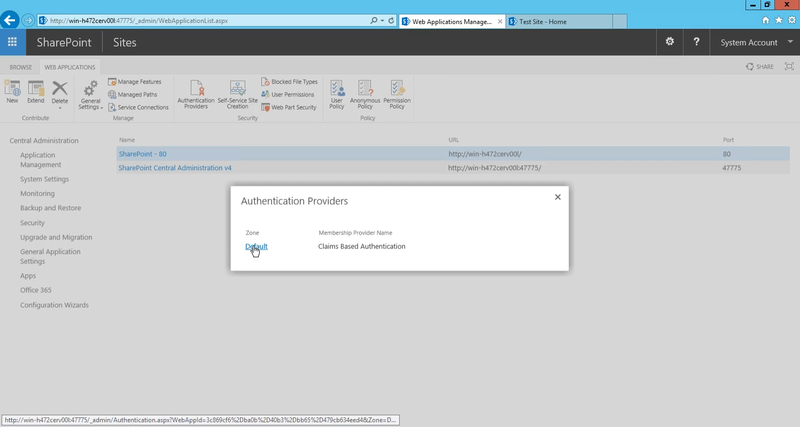 This allows us to login either via Windows Authentication or Forms Based Authentication (SharePoint will prompt you when you login for which method you’d like to use).Click “Save”. 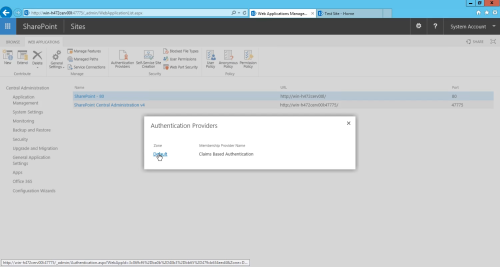 Now when authenticating to the site collection, if you enabled both Windows Authentication and Forms Based Authentication, you’ll be prompted for which method you’d like to use to authenticate. 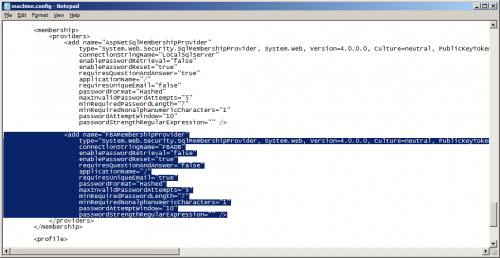 At this time however, you still cannot authenticate with forms based authentication, as we haven’t created any users in the membership database. In Part 4 i’ll show you how to use the FBA Pack to add users to the membership database. 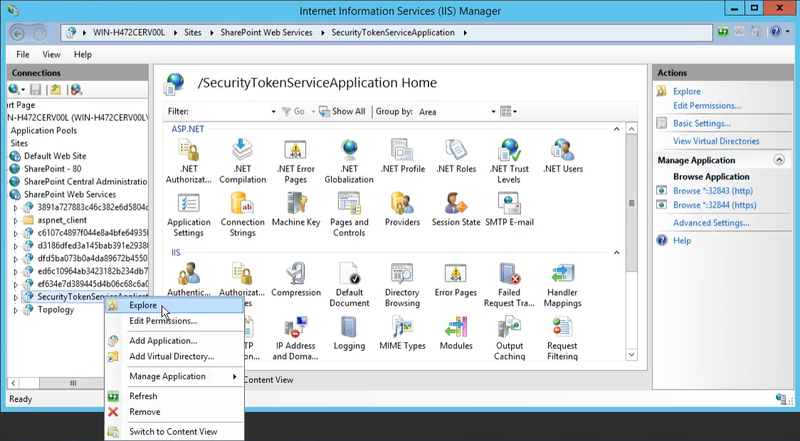 The role and membership providers have now been setup for SharePoint. 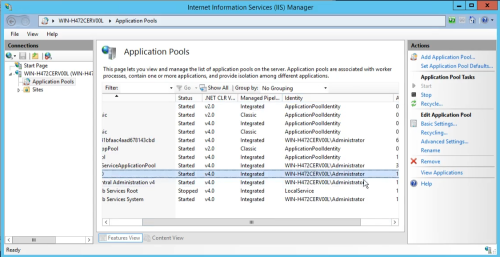 Continue on to Part 3 to configure SharePoint to use the membership provider we just setup. 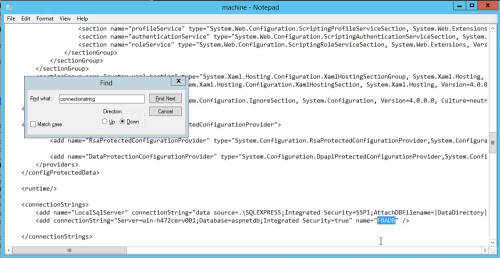 Enter the name of your server and your authentication information. In this case SQL Server is installed on the same server as SharePoint and I am logged in as an administrator and have full access to SQL Server, so I choose Windows Authentication.For the database name, I just leave it as <default>, which creates a database called “aspnetdb”. 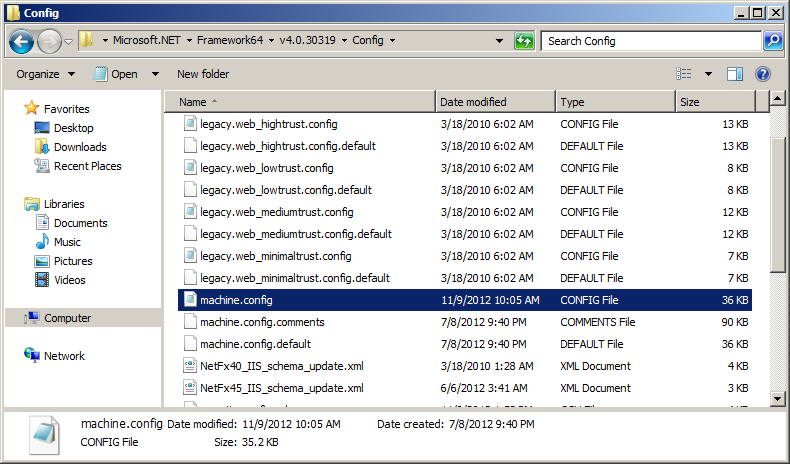 Continue to Part 2 – Editing the Web.Config Files. 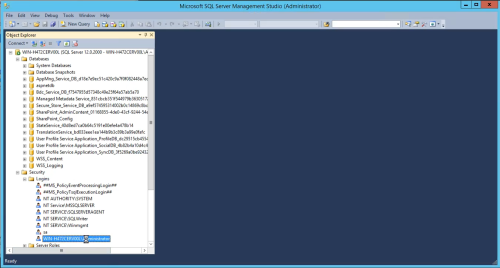 The following is a post written by Tim Nugiel with instructions for creating a custom cookie handler for mixed mode authentication. 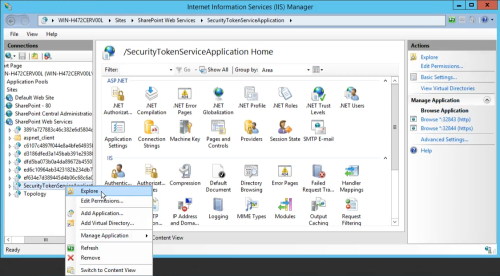 I reference it in my blog post Mixed Http and Https Content with SharePoint 2010. The original article was posted at: http://www.msngn.com/blog/lists/posts/post.aspx?id=5. I’ve reposted it here, as the original article appears to have gone offline. This class invokes its base methods for the most part, I just slightly modified the WriteCore event w/ logic that removes the https hard coded reference. Shufflrr is a PowerPoint presentation management web app that I’ve been working on for the past year. This Tuesday, April 1st at 7:00 PM, Shufflrr will be introduced to the world at the NY Tech Meetup.